The lack of adequate protection from unwanted exposure to lawn pesticides at the federal and provincial level has fueled a growing surge in municipal pesticide restrictions designed to enhance the protection of the environment and public health. The number of municipal/regional by-laws currently in place across Canada has now increased to 140. 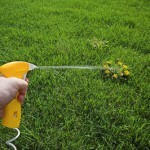 Many additional pesticide by-laws are at the draft stage pending adoption. 1286 municipalities of all sizes have passed or are under the protection of various forms of pesticide by-laws passed by their regions or provinces. The largest is the City of Toronto with a population of 2.5 million while some are as small as Lac- Saint-Joseph, Québec with a population of 229. There are over 14 million Canadians, or approximately 44.3% of Canada’s total population (based on the 2006 Census), benefiting from enhanced protection from unwanted exposure to synthetic lawn and garden pesticides. This figure includes the enhanced province-wide protection provided under Québec’s Pesticide Management Code. There are 1141 municipalities (cities, villages and townships) within Québec. For municipalities in the provinces of Québec and Nova Scotia, their authority is in addition based upon provincial legislation, including in the case of Québec a province-wide restriction on the sale and use of many chemical pesticides. The authority of municipalities to pass such bylaws in the Province of Ontario has been strengthened by a superior court ruling.